Joyce Jones Englesby, age 88, of Marion, NC, passed away Monday, October 8, 2018 at her daughter’s residence. A native of Kalamazoo, MI, Joyce was born on January 3, 1930 to the late Stanley William Jones and E’dre Fern Bullock Jones. 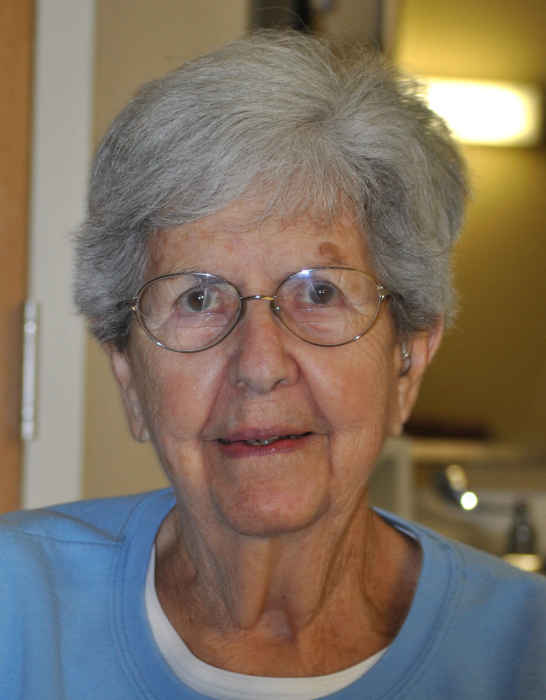 A lifelong Methodist, she enjoyed performing volunteer work at the various churches she attended over the years. Joyce was known for her sweet disposition and for her love for her family and friends. She was a devoted Army wife to her husband of 43 years, Howard E. Englesby, Jr. who preceded her in death. A son, Steven Howard Englesby also preceded her in death. Surviving are her daughter, Brenda E. Gibbs and husband Ernest of Marion, NC; a brother, Stanley William Jones, Jr. and wife Mary of Holland, MI; two grandsons, Dr. William Starr Cox and wife Erin Beth of Knoxville, TN and Steven Harrison Gibbs and wife Shannon of Wilmington, NC; and one great-granddaughter, Virginia Mae Cox. No local services are planned at this time. A graveside service will be held at a later date at which time her remains will be interred beside her husband and son at Onslow Memorial Park in Jacksonville, NC. In memory of the life she lived, the family requests those desiring to should continue the chain of love through random acts of kindness.